Name an award both on British soil and stateside and KT Tunstall has won it - Grammy, BRITs and even a Novello Award, won due to her critically-acclaimed debut Eye To The Telescope, released over a decade ago. Tunstall has been shying from the limelight and households for recent years as she's been creating movie scores as part of Sundance's Elite Composer Lab. But something was burning inside her to be back on stage and create another album - that's where KIN comes in. Tunstall comes back rocking, with 'Hard Girls' demonstrating that she's taken another route from her Pop days of 2004. The song in its entirety hits you at 100mph and although you'll be across the other side of the room from all the energy, you'll want to hit the repeat button as fast as you say "KT Tunstall". It's a great introduction to a comeback album and will certainly secure her place in the charts this year. KIN isn't just a solo effort as it features a duet between Tunstall and James Bay, named 'Two Way' and is a beautiful and captivating rock ballad, something that fits both their styles effortlessly. Even people who don't like James Bay will be leaning more towards him after hearing this song, and that's mostly due to their perfect melodies and immaculate songwriting. Other songs of note include title track KIN, a sweet acoustic composition with the rhythm slowly tugging at your heartstrings, with love-struck lyrics backing that up. 'Evil Eye' is a nod to the Pop ways of the past, sounding a bit like her number one single 'Suddenly I See' but this feels a lot more refined and as if she's in her element as a songwriter. 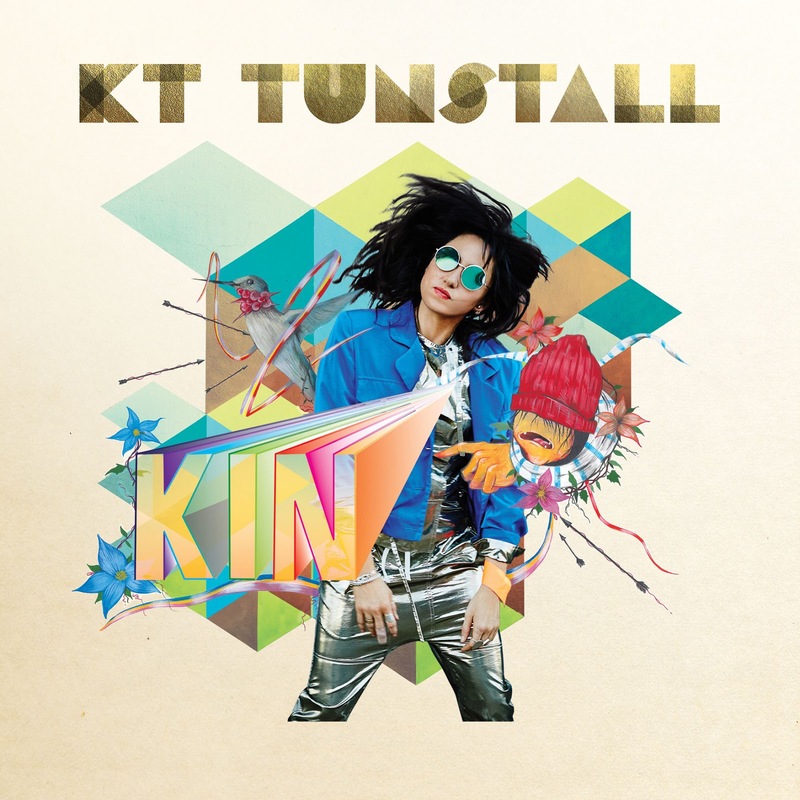 KIN to many will be the defining album of Tunstall's career and show her maturity as a Rock artist - she certainly deserves to be a part of that genre. Buy or listen to at least one of these songs and you'll want to buy more to hear more of Tunstall's genius. Like what you're reading? Then check out KIN on iTunes, Spotify and Amazon (UK | US). Also follow KT Tunstall on Twitter, Facebook and Instagram to check out what she's up to. Don't forget to follow me on Instagram to see what I'm posting as soon as I click publish (I'm also going to NYC this week and will be adding to my story with what I'm up to).